If so, try not to despair. Many children and teens find it hard to tell us how they feel when they are upset, angry, worried or embarrassed. It is not easy for us as adults to describe negative emotions, what might have caused them and what we would like to happen differently. It's even harder for young people, with less developed brains - and sometimes bigger and more powerful feelings which interfere with communication skills at the best of times. It is normal for young people to struggle to say how they feel (AND it's okay for them to choose not to tell us everything they feel upset about). However it's also important as parents/carers to try to help young people get better at expressing negative emotion - at least some of the time - to some people. Because being able to say when you feel bad helps us feel better. When we can't tell people about our emotions - we show them - and not always in helpful ways. Negative emotions have a way of "wriggling" out in one way or another. Researchers found that university students who were more able to communicate their negative emotions (how do I feel, when did I start feeling that way and what do I need) experienced less problems in life than those people who can't - or choose not to - express negative emotions. I'm sure you see this for your children and teens too. "How effectively (kindly, clearly, assertively) can you/your young person express anger?" "How effectively can you/your child/teen communicate that they feel anxious?" "How effectively can you/your child/teen tell others they are sad?" One step you can take as a parent/carer to help young people communicate their emotions is to use the my "feeling letter" template here. You're welcome to download it and use it however you think might be helpful. This is a one page letter in which kids/teens simply have to "circle" the emotion they are experiencing, what has prompted the feeling and something they'd like to happen next. It requires only a few strokes of a pen - and helps them take some steps towards getting better at communicating. Perhaps print it out a few times and then put them in the young person's drawer in their bedroom. Every now and then (and when you guess they are experiencing negative emotions) - ask them to complete one and put it under your pillow. After doing this in writing a few times, they will get better at being able to do it verbally with you - and with others. You might then be able to say "text me a bad feelings" letter - once they get the idea. All the best with helping your young person with this skill. On Calm Kid Central there is a video and transcript for parent/carers about which questions to ask kids when they are feeling worried. 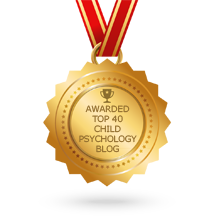 Calm Kid Central also has videos for children with big feelings, resources for parent/carers and the ability to ask unlimited questions of our child psychologists. For more information, please click below.